In early 1960 Robert W. Daniels, Jr. (Bobby) and a high school buddy became business partners when they purchased the local Dairy Freeze. Together they managed the restaurant for the next seventeen years. In November, 1977 Bobby decided to venture into the hardware business and he sold his share of the Dairy Freeze to his partner. Then partnering with brother-in-law John Williams, Bobby purchased Bevell&apos;s True Value Hardware Inc. from the co-op Cotter and Company, founder of True Value stores. After many years with True Value, Bobby and John made the switch from the True Value brand to Ace Hardware. Two years ago the decision was made to leave Ace and go with Orgill Worldwide Distribution & Retail Services as their main vendor. The company name is now Bevell&apos;s Hardware Inc. In 1978 Bobby met Lynn Taylor and they were married in January 1979. In May 1982, their son, Robert W. Daniels III (Robbie) was born. Bobby, along with his wife Lynn, son Robbie and daughter-in-law Ashley all work at the hardware store. 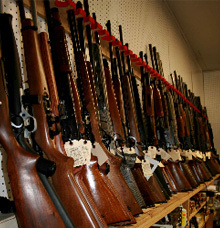 In addition to the family members there are currently 20 full and part time employees at Bevell&apos;s Hardware Inc.
Visit one of the largest sporting goods departments in Southside Virginia for all of your hunting and fishing needs right here at your locally owned hardware store. Virginia state hunting and fishing licenses can be purchased at Bevell&apos;s along with licenses to hunt and fish at Fort Pickett. In addition to the show room area there is a large warehouse and lumber yard just for the contractors and do it yourself folks. Bevell&apos;s offers a good grade of lumber, as well as sheetrock, blocks, bricks and much more at very competitive prices with the big box stores. Save gas and time and help support your local economy by shopping at home. 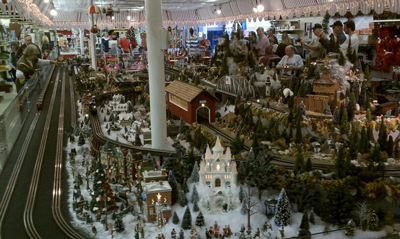 Bevell&apos;s Hardware is known far and wide for the huge train display set up each year during the Christmas holidays. Bobby received his first toy train when he was a small child from his father. 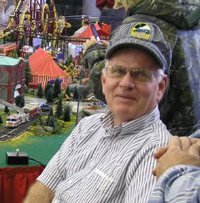 Since exhibiting a small train display as a treat for the kids over 30 years ago in the hardware store Bobby has become an avid toy train collector. Young children and the young at heart come from far and near to see this spectacular sight each year. More information can be found under the Train Display tab. Bevell&apos;s Hardware is involved in the community and has sponsored a Little League team for the Blackstone Recreation Association for years. The annual Arts and Crafts show in Blackstone was expanded several years ago when Bobby got involved by adding exhibits of antique tractors, vehicles, steam engines and various other old machines. (see Events tab) Bobby donates time and money to many worthwhile causes in the community and will always lend a helping hand to assist with local events. Bobby is not just a successful businessman; he is a successful community leader. He believes in giving back to the community.